Happily, Tree Canada is growing in many ways as we celebrate our 20th year of building a greener, more sustainable Canada. We are achieving great success by continuing to support individuals, schools, local communities and many others in their efforts to become greener through our many programs and thanks to our generous sponsors. Over the past few months, we have been involved in many tree plantings, education and awareness projects and have taken part in a number of conferences, workshops and trade shows, including the Federation of Canadian Municipalities Annual Meeting in Saskatoon, SK and an Ontario Heritage Tree Workshop hosted by Tree Canada’s President, Michael Rosen in Ottawa, ON. 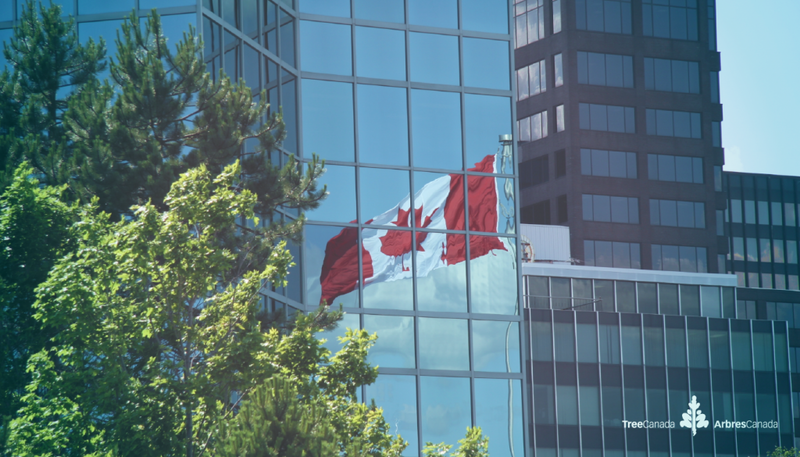 It’s also the start of a new way to communicate with our friends and colleagues across Canada. 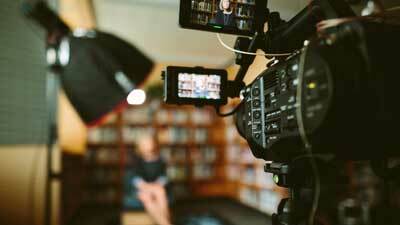 Our new blog will replace the Mïstïk e-newsletter, making it easier for you to connect and find out what we’ve been up to. Simply follow the link from our website. Check back every few weeks for updates on our activities! 16 Years and Going Strong! 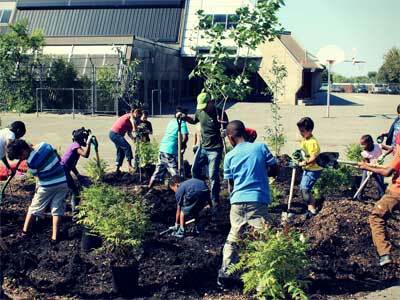 This May, IKEA Canada and Tree Canada came together for a special event. The 16th annual “Pick a Tree, Plant a Tree” campaign had IKEA co-workers and Tree Canada volunteers planting trees and shrubs in urban areas with proximity to local IKEA stores in 11 Canadian cities. The program is funded by proceeds from December Christmas tree sales. Since 1996, more than 20,000 trees have been planted in this way. The amount of carbon sequestered from those trees is equivalent to taking 3,360 cars off the road for a year, or 13,568 tonnes of CO2 over an 80-year period. The event came just after IKEA Canada was named one of Canada’s Greenest Employers for the fourth year in a row! We’re thrilled to announce that Canada’s streets have been getting a little greener thanks to our partner, TD Friends of the Environment Foundation! 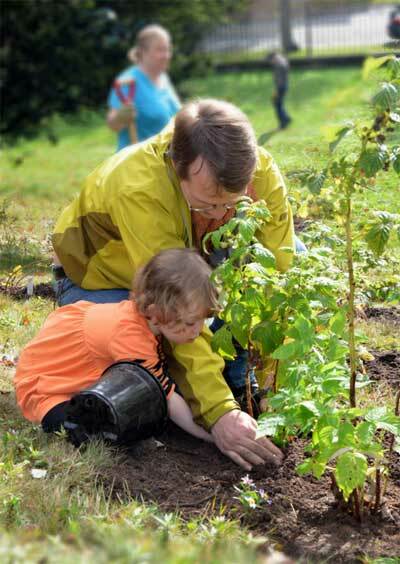 Through the TD Green Streets program, communities in Penticton, ON, Oshawa, ON, Vancouver, B.C., Dieppe, N.B., Wendake, QC, Penticton, B.C., Kenora, ON, and others have received funding for local greening projects from TD Friends of the Environment Foundation. Congratulations to these communities! We’re very pleased to report that more schoolyards than ever across the country are being greened this spring and summer through Greening Canada’s School Grounds, with help from our sponsors FedEx and Papermate! Our Edible Trees program is also well underway, with fruit- and nut-bearing trees being planted through the spring and summer in 20 communities across Canada, including recent plantings in Cambridge, ON and Calgary, AB, with the help of our partners Loblaw and Taste of Nature. In August of 2011 a powerful F2-F3 tornado struck the town of Goderich in southwestern Ontario. Several properties were reduced to rubble, leaving many people homeless. Many large and trees that had grown over decades were damaged or destroyed. It was quickly evident that Goderich would be an excellent candidate to receive help through Tree Canada’s ReLeaf program, which responds to natural emergencies and circumstances by creating programs which help communities with specific tree needs. Tree Canada’s President Michael Rosen was on hand on May 19th along with our longtime partner, Home Hardware, to replant lost trees in an area along the Maitland River. 67 large sugar maple, red oak and white birch trees were planted and a Home Hardware Tree Grove sign was unveiled to commemorate the planting. A heartfelt congratulations goes out to Central Elementary School in Swift Current, SK – the winner of the Majesta Trees of Knowledge outdoor classroom for 2012. The 2011 winner, St. Paul Elementary School in Beaconsfield, QC unveiled their new and improved outdoor classroom at a ceremony on June 7th. We’re proud to announce our partnership with CN, North America’s Railroad, for a new program called From the Ground Up. The program will provide up to $25,000 of funding for greening in cities and Aboriginal communities near CN rail lines. This tree predator has been all over the news throughout Canada. There has been debate over how to proceed in eliminating the pest and protecting trees long-term. On June 26th, 2012 Tree Canada’s own Forester and Program Manager, Jim McCready, led an information session for communities to make them aware of what they can do to alleviate and prevent the spread of the Emerald Ash Borer. To learn more about EAB click here. Join this year’s Canadian Urban Forest Conference! If you’re passionate as about Canada’s urban forest as we are, then consider attending our 10th Canadian Urban Forest Conference October 2-4 in London, ON. Registration will cover your attendance to our gala celebrating Tree Canada’s 20th anniversary! Find out more here. If you like what you’ve read, help us to do even more in communities across Canada. 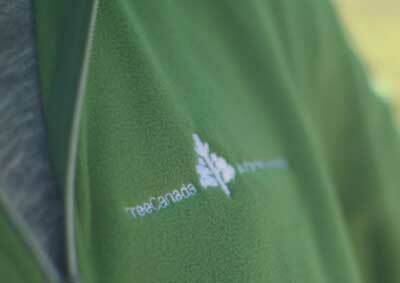 Find out how you can donate to Tree Canada here.